Colvin & Moggridge » Restoration of damaged site. 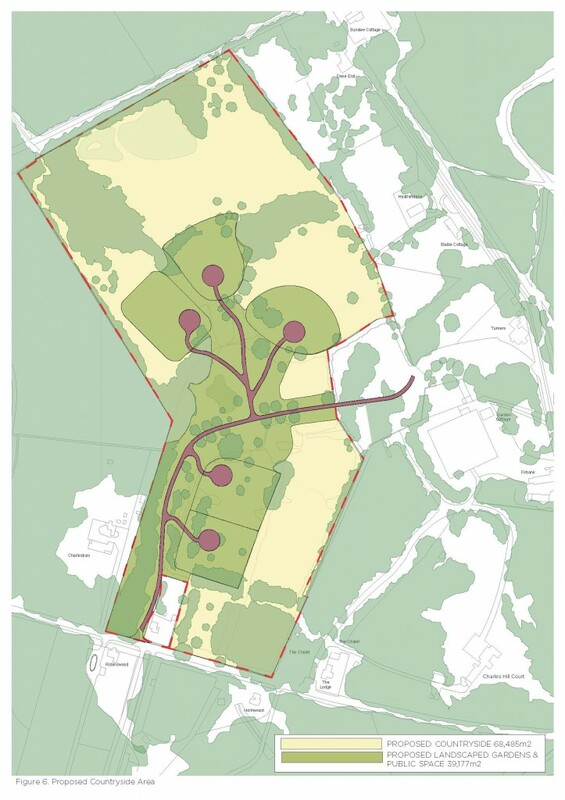 Colvin and Moggridge, in partnership with the land owner, DeLoitte and Landmark Chambers, have submitted a Masterplan for the development of the Charles Hill Nursery site near Farnham, Surrey. The project, currently at outline application stage, aims to replace the commercial nursery buildings and structures with five new residential houses – all with gardens, framed by the wider, newly restored countryside. The site had been home to the Slockock Nursery, well known for their Rhododendrons, but since Slockock’s closure it has been used as a contractors yard and plant sales area. 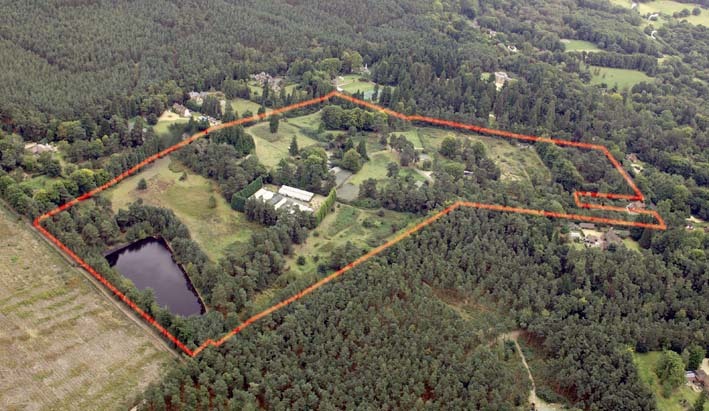 Our contribution to this stage of the project is primarily to help overcome presumptions against development, due to Green Belt and an Area of Outstanding Natural Beauty constraints, through sensitive assessment and design. “It is a damaged site within an area of beautiful landscape predominantly occupied by large houses set in expansive grounds. The continued commercial use of the site is neither viable nor appropriate and we think it deserves to be brought into better use. Our Masterplan places the new development centrally on the site around a new ‘Village Green’ that will become the focus of this new community. The development is set within a periphery of restored countryside that will be communally managed for the benefit of wildlife while creating a rural setting for the development.